At its meeting Monday, the State Water Control Board approved final regulations for three general permits that will expire on June 30, 2019. 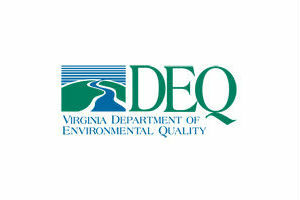 Administered by the Virginia Department of Environmental Quality (DEQ), these general permits establish consistent procedures and requirements for the issuance of Virginia Pollutant Discharge Elimination System permits required for discharging pollutants into Virginia’s streams and rivers. The SWCB reviewed DEQ staff recommendations based on stakeholder meetings and public comments and also heard additional comments from the public during the meeting. The Board accepted, and the DEQ agreed, to citizen a proposal to review the water quality standard for standard during its triennial review. The SWCB also approved the revised penalty for the Tyson poultry farm) on the Eastern Shore. An earlier proposal was rejected by the SWCB. “We are pleased DEQ negotiated a settlement that includes the highest penalty possible,” said DEQ Director David Paylor.